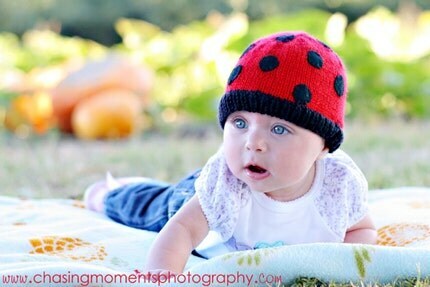 Popular and colorful, ladybugs are a fun theme for a baby’s room and for your baby shower. It is easy to create dramatic impact with red table covering, round black plates and grass green table ware! 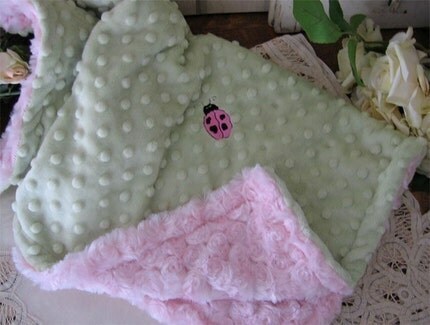 If you prefer the pastel approach, a few ladybugs look great on pink and green, as shown in this lovely nursery ensemble from Kids Line. 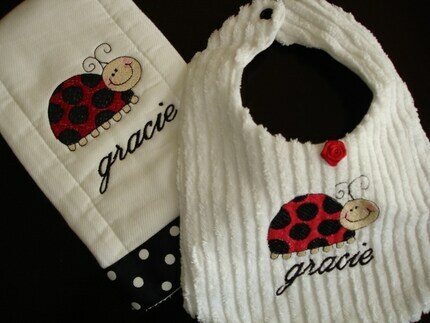 Take a look at these wonderful finds for ladybug shower invitations, decorations, gifts for the little baby bug, and ladybug favors! Perhaps you can even get a toddler in a ladybug dress or costume to wander the shower just for smiles. We found a lot of wonderful ladybug cake and cookie ideas that would dress up your dessert table. If you are baking, unless you want a pink ladybug, be sure to use the red coloring paste or gel to get a true red. ‹ Whoo Loves Baby Showers?